We are pleased to announce that this year’s LEAF Open Farm Sunday was a huge success with over 250 visitors from far and wide enjoying the glorious British sunshine in some of the nation’s most beautiful countryside. Situated on the borders of Herefordshire and Worcestershire, Stocks Farm is in a prime location bordering an area of outstanding natural beauty. 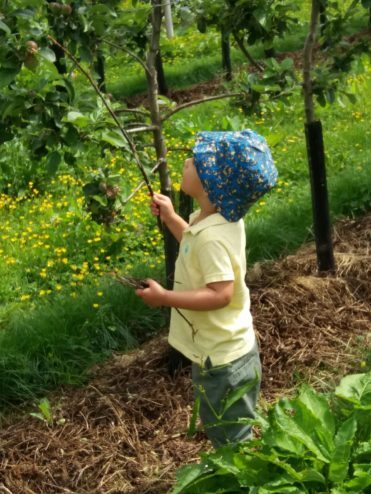 Visitors enjoyed walks around Richard and Ali’s farm, apple orchards and hop yards as well as a chance to see the infamous Bruff hop picking machine. Located next to “The Hop Shed” brewery, visitors were able to enjoy a drink in the sun after a lovely walk. Hilltop Farm offered a delicious ‘Free range Pig roast’ and there were many other activities and chances to support the local community by purchasing local produce and homemade cakes as well as raising a fantastic £622 for Suckley School playground equipment. Open Farm Sunday also afforded home brewers the chance to explore the farm as well as giving them a chance to purchase hops for their own brewing. We’d like to thank everyone who attended and for all of their support towards LEAF Open Farm Sunday and for the donations to Suckley School. We hope to see all of you again next year.